For some kids, crushes and heartbreak come sooner than expected. Once, when my son was 5 years old, we were out for a Sunday drive. I had the radio on and he was sitting in the back seat. I can’t remember what song started playing on the radio, but my son's sweet voice cracked as he said, "Mommy, could you please turn this song off?" I could tell he was crying. "What's wrong, honey?" I responded. Through tears, he said, "This song makes me think of Lilly and thinking about her makes me cry. I like her so much." I was shocked. We didn't talk about “crushes” in my home, and there was no teasing about “liking” classmates. Yet somehow, just by being a part of the world, my son had learned about crushes, the sweet heartache of a bad love song, and the sting of unrequited love. Like it or not, our children will probably get their hearts broken once or twice (or more) during their lifetimes. Most parents figure it will happen during their tumultuous teenage years, but for some children, heartbreak seems to come a little sooner than that. Here are some tips for helping your youngster navigate puppy love. Empathy goes a long way to building effective social-emotional skills in our children. Although the first impulse might be to laugh or lecture about the meaning of love or the importance of waiting to have these feelings until adulthood, a better approach is to listen to how our children feel before reacting to what they are saying. Once children feel understood, it’s a lot easier for them to talk and to listen. Take time to nonjudgmentally share your feelings about crushes and your family's thoughts about love, liking, dating, and growing up. A child will respond much better to, "That's a lot of big feelings you're having. Let's talk about what a crush means and how to cope with all that emotion," than to, "You're too young to be having those thoughts and feelings!" It's okay to also talk about your experiences with crushes—at their developmental level. Sharing your feelings with them will help them build awareness and a good emotional vocabulary for discussing triumphs and trials in the social world. Children, even young ones, receive messages about romantic love from the people and environments around them. Spend time each day talking with your children about the "how and who" of their days. 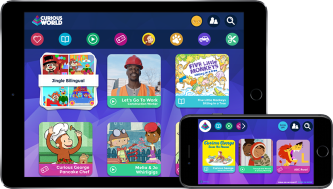 Learn about classmates and the daily adventures your child experiences. Talk with teachers and care providers as well, who can also help children manage the social complexities of the playground and the lunch table. This will help you help them navigate all of the nuances of their social world at school or daycare. Talk with children about the importance of making friends and encourage them to build strong social networks rather than focusing on their crush. Give them words to describe their feelings, too. For example, if your child says, "I really like Riley," respond by saying, "Sounds like you admire Riley and share a lot of interests." Help children understand the importance of building friendships based on common interests and similar perspectives, and likewise the importance of honoring diversity. 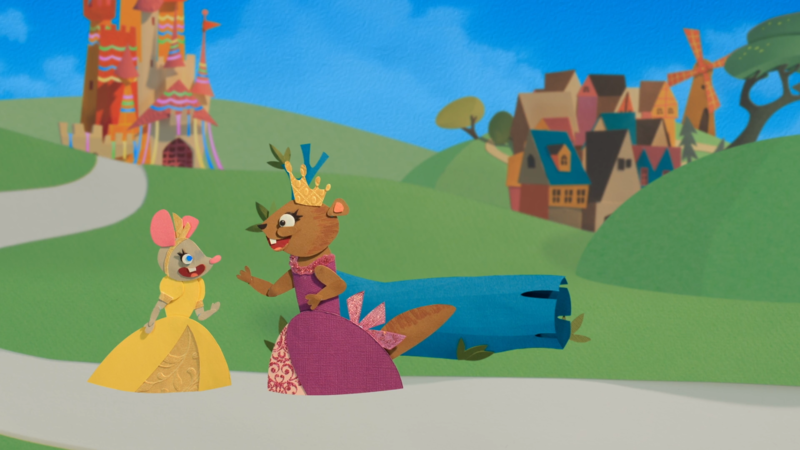 My favorite video for children on the topic of friendship is The Best Friend Festival, where Princess Tinsel learns what it really means to value a friend. Watch it now in Curious World! Puppy Love will come and go. Try not to react too strongly to the news of a first crush. A big reaction from a parent may teach a child that having a crush is a great way to get your attention. Similarly, avoid asking if a child has a crush on anyone. If a child does not, this could lead to feelings of inadequacy or being "out of sync." 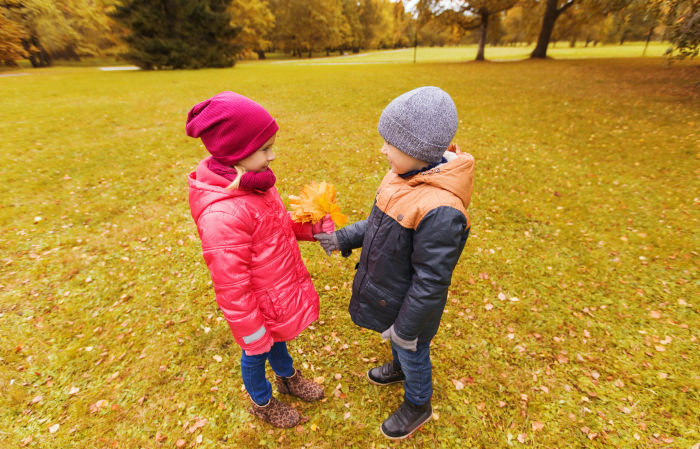 Follow your child's lead to know when and what to discuss regarding romantic feelings. Every child has their own internal emotional compass. Our job, as parents, is to point them in the correct direction and guide them toward hope and wholeness, knowing that they may fall off course from time to time.